These 14-inch long latex Horse Hoof Gloves fits smoothly over most adult hands and imparts a certain centaurian look to almost any outfit. Wear them to math class and use them to stomp out your answers! If you've got the Horse Mask (sold separately), you can complete the look for Halloween, too! 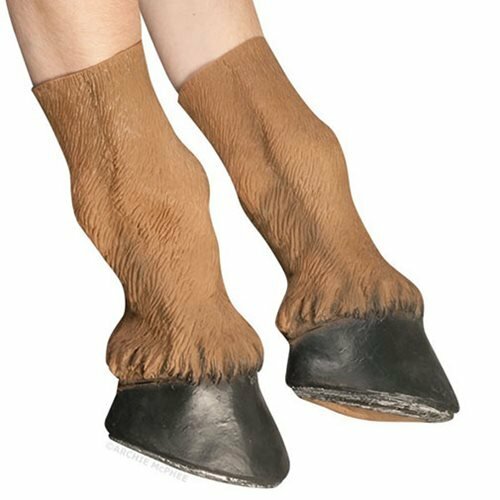 These hooves measure about 13-inches long. Ages 14 and up.